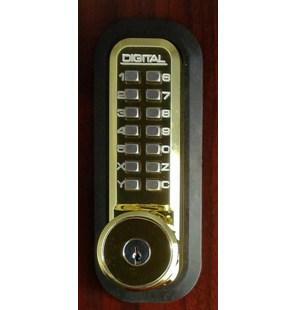 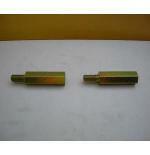 Lockey 2500KO Mechanical Digital Sliding Door Lock with Key Override is a 2500 lock with key override. This is a mechanical keyless door lock that does not require wires, batteries or electricity. 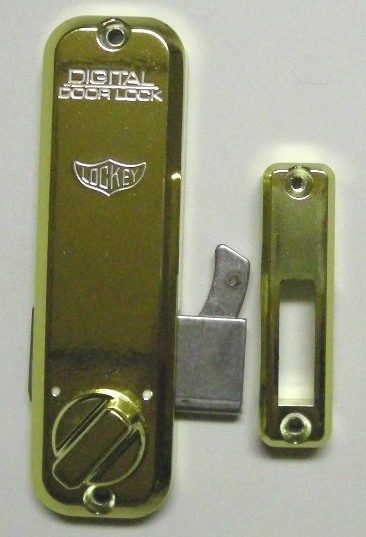 This lock is perfect to replace your current hardware or for brand new doors. 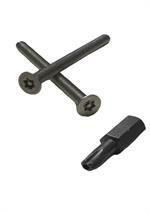 These are easy to install and use, and are weather resistant. 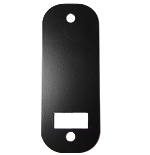 Use on sliding doors, patio doors, sliding gates, door walls or any other door that needs a hook to lock and secure it. 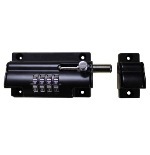 Comes with various strike plates for a number of different mortise or surface mounted applications.This lock carries a 1 Year Mechanical Warranty through the manufacturer. 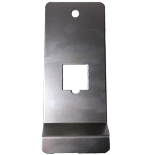 Also available in Antique Brass, Jet Black, Satin Chrome and Satin Nickel. 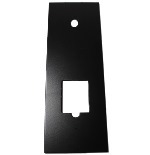 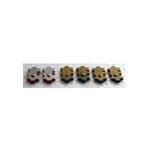 Lock Only Dimensions 5 5/8" X 1 5/8" X 1 1/2"
Lock Dimensions With Trim Plates 6" X 2" X 1 11/16"
If you are ordering more than 1 lock and would like them Keyed Alike, please choose keyed alike when purchasing. 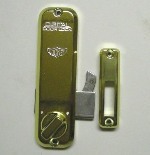 Keyed Alike-same Physical Key will fit-combination will be different. 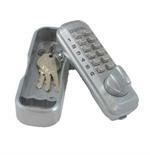 FREE SHIPPING WITHIN CONTIGUOUS US AND 1 YEAR MECHANICAL MANUFACTURER WARRANTY.